Last month I wrote about the Sony Xperia Z2 tablet which is my current favorite Verizon Wireless gadget. Since that post I’ve been giving a lot of thought to where I’m going to live once my son graduates from high school. Being a virtual assistant allows me to work from wherever I have power (electric) and internet. There are so many beautiful places, why not experience more of the United States? 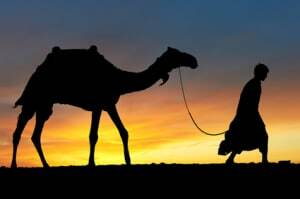 OK, I won’t be traveling or working from the back of a camel but in a sense I will be a nomad. I am most efficient and effective for my clients while working on my MacBook Pro so the tablet will never replace the laptop however there is a compelling reason why this tablet will be an integral part in my upcoming mobile lifestyle. It can be my secure mobile hotspot! Using the mobile hotspot feature on the Sony Xperia Z2 is wickedly simple and my MBP immediately recognizes it as an available WiFi network. How much data will I need in a typical month? How much will that data cost me? How much data will I need: Currently I have unlimited data on the tablet so I’m going to do my best to remember to use it as my only WiFi source for at least a full month. How much will that data cost me: Once I get an estimate to how many GB of data I will need in a month I can easily figure out the cost using Verizon’s calculator for their MORE Everything Plan. I’ll never be Tim Ferris and a four-hour workday is entirely unrealistic for me. I’m assuming I’ll need at least 15GB of data and it would currently cost me $160/month on the MORE Everything Plan. Not a very significant savings based on my current $177.95/month but every bit helps. How will the download speeds compare on the tablet vs. Comcast? Obviously I don’t have all of the answers right now but the wheels are already turning on how I can get what I need, at a price I can afford when I take my business entirely mobile next year. Stay tuned as I will write a follow-up post on download speeds and data usage as I’m sure there are others out there who would appreciate having some hard figures. I’d love any tips or other random tidbits of advice if you’re already living the mobile lifestyle! As member of a pretty cool team of influencers, I received the tablet (with a line of service) from Verizon. No additional compensation was provided nor did I promise positive feedback. All opinions are my own. Are you someone who loves knowing all about the latest and greatest Smartphones that are on the horizon? 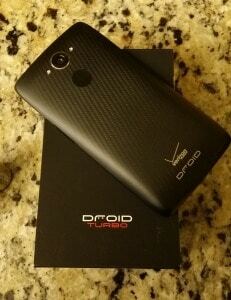 Take a look at the Motorola Droid Turbo which will be available to purchase from Verizon Wireless on Thursday, Oct. 30, 2014. A pre-note: My son always gets first dibs on the new phones I get as part of my involvement in the Verizon Lifestyle Blogger program. He’s been using the Samsung Note 3 for about 9 months now and he “passed” on the HTC One M8. Will he want to claim dibs on the Droid Turbo? My first two Smartphones were both Motorola Droids and I loved both of them. I’ve also been using the Samsung Note 3 since last Thanksgiving. I nearly switched to the HTC One M8 which is a pretty amazing phone, but…read here to find out why I didn’t. Let’s dig into the set-up process and what my son thinks about this particular device. Want to pass go? Click here if you’d rather head straight on over to the specs of the Motorola Droid Turbo MGF. Voice activated commands: he thinks it’s better than “OK Google” because you don’t need to open anything prior to speaking commands to the phone (it will even activate if the phone is locked and resting). He had fun commanding the phone to text me the word “butts”. Start-up: It’s faster than Santa’s Reindeer and plays funky music as it’s starting up (not The Commodore’s type of funk, think more along the lines of what a teenage boy would listen to). Battery life and charging: He often forgets to charge his phone so the 48 hour battery life will hopefully reduce some of his “my phone died” excuses. Best of all? You get an 8 hour charge in just 15 minutes! Since this fancy piece of tech just landed in our hands today he hasn’t had much of an opportunity to do more exploration. (He does have homework to complete yet tonight!) At this point he wants to switch from his Samsung Note 3. Stay tuned for that future blog post. 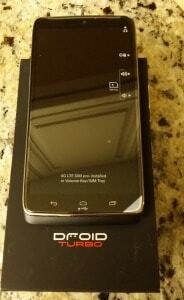 As member of a pretty cool team of influencers, I received the Motorola Droid Turbo from Verizon. No additional compensation was provided nor did I promise positive feedback. All opinions are my own. I received the HTC One M8 the same day I received the Sony Xperia Z2 tablet and it was a toss up on what device I was going to explore first. HTC, I owe you an official apology for neglecting you for so long! It’s incredibly thin and with the rounded edges it comfortably rests in your hand while reading, texting, etc. However, the brushed metal case made me feel as though it would slide right out of my hands at any given moment so I immediately bought a case. **If you’re interested in a fun, interactive case I suggest you check out this review on the Dot View case by my friend, Tommy. I switched from a Droid X to the Samsung Note 3 in late 2013 and for awhile I was having a hard time adjusting to a phone that is so large but once I got used to it, I came to really enjoy it, especially for it’s larger style keyboard which has ample spacing between the characters. How did the transfer go? I thought more of my text messages would come through considering I have Verizon Messages set up on both devices. I’m not 100% sure how complete that restore was as old MMS texts show but not “word” only text messages. So what phone am I using now? I decided to stay with the Note 3 for just one reason. The Note 3 allows me to set unique notification sounds for each person in my contact list for incoming text messages. The HTC One M8 only allows for personalization only on the incoming call ringtone. Most of my communication is via text so having the ability to modify the text sound for each contact is something that is a must for me. That one thing trumps everything. However, don’t let my one reason impact your decision. Check out the HTC One M8 for yourself! 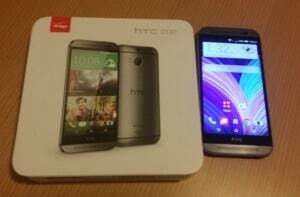 As member of a pretty cool team of influencers, I received the HTC One M8 (with a line of service) from Verizon. No additional compensation was provided nor did I promise positive feedback. All opinions are my own. Verizon Messages is an easy and seamless way to sync all of your texting across multiple devices. The app is available for both Android and iOS and can also be downloaded to your computer as well. I’ll go ahead and (shamefully) admit that this allows me to multi-task when I’m on a webinar or screen share because I can send and receive texts from my Sony Xperia Z2 tablet while I’m on my phone. I first started using the app earlier this year but quickly dismissed it because I have a thing against apps that use the color red. (Weird, I know!) In June, while the Midwest Verizon team was in Chicago, we were learning more about the Samsung Note Tablet and they covered the messages app in-depth. It was then I realized I was missing out on a lot of features which aren’t available on standard texting apps and I made the official switch. Messages sync across my Samsung Note 3, my Sony Xperia Z2 tablet and my Samsung Note tablet so no matter which device I’m using, I have everything at my fingertips (they also have computer apps, more on that a bit later). More emojis! Why not have a little bit more fun texting? As you type it will suggest possible emojis, such as a phone, book, or a dress. Best of all, the emojis can be viewed by both iOS and Android users. 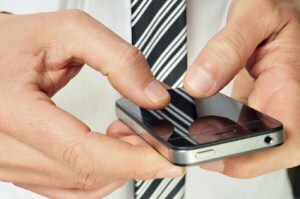 Send voice/audio messages via text. Set up an auto-reply message to stay safer when you’re driving or otherwise unavailable. Send messages over WiFi. How cool is this?! No cell service needed to send messages, which means you can also send messages to international numbers. One of the things I like best is that you can make it all “you” with all of the customization options available. Now if only I could change the color of the app from red! One thing I’d suggest setting up at the same time, if you’re not already using it, is Verizon’s Cloud Storage. Be sure to set it up on your mobile device first and then set it up on any tablets you have. Tip: Set up Cloud Storage to save messages and it will be easy to restore your messages if you change devices. **side note: I did try to set up Verizon Messages on my MacBook Pro but using it was really clunky so I use a different app for texting from my computer. I was a MightyText fan but they’ve been having recent delivery problems so I switched to AirDroid instead (which offers a lot more than just texting from a web interface). There are a lot more features available that I don’t mention above. Check it out for yourself and let me know what other features get you excited. As member of a pretty cool team of influencers, I received devices (with a line of service) from Verizon. No additional compensation was provided nor did I promise positive feedback. All opinions are my own. I’ve never been much of a tablet girl because I feel I am much faster and efficient when I’m working from my laptop. Because I charge most of my clients for actual time spent I do my best to work from the devices best suited for the “job” and where I am most efficient. Therefore my tablet use is primarily for enjoyment only (web browsing, reading, social media, etc.). Up until June 2014 my tablet exposure was with the first generation iPad that I got when they first came out. (Apple fans: Am I allowed to call the iPad a tablet?) The iPad was becoming increasingly less useful to me as many of the apps were no longer compatible with first generation and as a result I wasn’t entirely devastated when my iPad met an untimely demise this April when the screen was badly cracked as a result of my stupidity (not having the case closed before putting it into my luggage). I replaced the iPad with a Kindle Fire since it gave me what I needed for my leisurely needs. I should have held out for a bit longer. I was over the moon excited to receive a Sony Xperia Z2 tablet from Verizon last month. I’ve been using it quite a bit (primarily for enjoyment purposes) and this post won’t go into detail on all of the features. NOTE: at the end of this post I have some other Xperia Z2 posts you may enjoy reading. They have over 18 million games, songs and movies in their library. Set up a Sony Entertainment Network account and you receive six free pre-selected movies (I’ve finally watched a movie during a flight). Although I rarely record videos I was anxious to use the tablet for recording so I could familiarize myself with it. I purchased a tablet mount and tripod from Amazon so I could record one of my dance lessons (video below). What surprised me most? The tablet clearly picked up nearly all of my chit chat with my instructor despite the fact the recording was taking place directly next to the music which I assumed would drown out the chit chat. 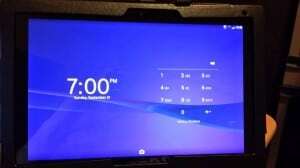 Bottom line: I love the Sony Xperia Z2 tablet! The one feature that particularly wowed me is the encryption. With it I’d be comfortable doing client bookkeeping on the tablet. Enjoy my Salsa dance lesson video!